Copolymer polypropylene pedestal. Resistant to weather, UV, chemical products. Electrically non-conductive. Not susceptible to galvanic corrosion. Uses 80% recycled PPC, 20% talc plus UV black masterbatch and is 100% recyclable. Sloping substrates: Optional, wedge-type slope corrector for placement under pedestal. Resistant to UV light, weather, sea salt and almost all chemicals. Application temperature range: -30 to +90°C. Support for outdoor terraces with any kind of materials; timber decking, stone, ceramic, composite materials, metal, fibreglass grid. Can be placed on any stable substrate; also over insulation panels. Threaded for assembly and height adjustment. Slope connector BC-PH5 is placed under the base of the pedestal. Consisting of two cylindrical parts, it allows compensation of 1–5% slopes by simply rotating the devices. Thickness: + 12 mm to be added to the adjustment height of the pedestal. Breaking load can vary depending on configuration and product type; consult literature for details. Different Buzon accessories can be clipped to the head of the pedestal according to the material used by manufacturers of terraces, podiums and temporary exhibitions. The product information below is from the NBS Plus library of product clauses offered in NBS specification products. It has been created by NBS for Buzon UK Ltd. Each product clause is authored in NBS format and is intended for inclusion in project specifications. Please note that NBS product guidance is not a replacement for the manufacturer's literature and it is recommended that Buzon UK Ltd be consulted before specifying. Adjustable 28–42 mm – comprises two-piece head and base. Adjustable 42–60 mm – comprises two-piece head and base. Adjustable 60–90 mm – comprises two-piece head and base. Adjustable 90–145 mm – comprises two-piece head and base. Adjustable 145–245 mm – comprises two-piece head and base. Adjustable 230–315 mm – comprises head PB3 plus base PB4 and one sleeve C1-PB4. Adjustable 285–367 mm – Pedestal PB4 plus one sleeve C1-PB4. Adjustable 365–485 mm – Pedestal PB4 plus two sleeves C1-PB4. Adjustable 452–605 mm – Pedestal PB4 plus three sleeves C1-PB4. Adjustable 537–725 mm – Pedestal PB4 plus four sleeves C1-PB4. Adjustable 620–845 mm – Pedestal PB4 plus five sleeves C1-PB4. 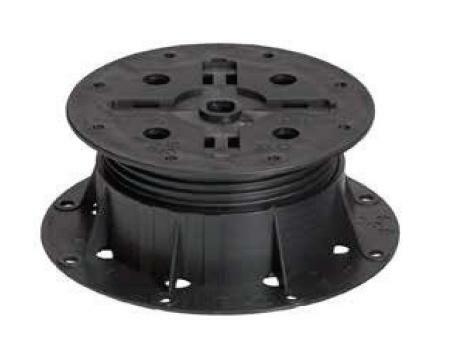 Adjustable 705–965 mm – Pedestal PB4 plus six sleeves C1-PB4.